Afghan women are leaders. They are central to building strong Afghan institutions and legal frameworks and creating opportunity for all Afghans. 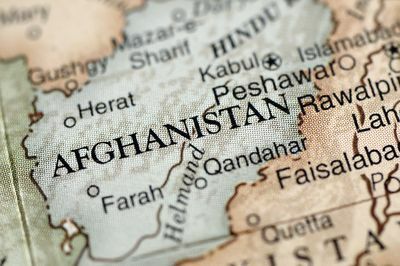 The current U.S. peace envoy, Ambassador Zalmay Khalilzad, would be well served to call on them, and their expertise, as he seeks an elusive peace in Afghanistan. As part of any dialogue and debate about the future of Afghanistan, it is critical that the Afghan government, and Afghan citizens, be genuinely engaged in the process. This is not a process that should be reserved for the United States, some Afghan politicians, and the Taliban. Broadly speaking, engaging Afghans means ensuring that there is genuine consultation with those who comprise today’s Afghanistan: men and women, young and old, people from every ethnic group and sector of society. Afghan power brokers have a role to play but they aren’t the only voice that must be heard. The Taliban do not represent the majority of Afghans, and their efforts to be seen as modern, and moderate, are questionable. For example, reports are that in districts controlled by the Taliban today, girls’ secondary schools are not operating and women cannot go to markets on their own. Afghan women have made tremendous strides based on international investments and their own tenacity and agency. They are not victims, but leaders and change makers. They have been at the forefront of building a strong economy and a broad-based education system, and promoting the leadership of women across sectors. It is critical that Afghan women are fully engaged and that their experience, talent, and expertise is brought to bear on all parts of the Afghan peace processes. To date, Afghan women have been generally excluded from the current talks. In a hopeful sign, earlier this week in Kabul, Khalilzad met with representatives of the Afghan Women’s Network, a coalition of 125 women’s rights organizations. At that meeting, he said that “women must be at the table during all negotiations about peace and Afghanistan’s future.” This is in line with the mandate of the Women, Peace and Security Act of 2017 which recognizes, as a matter of U.S.policy, the importance of women’s roles in peace negotiations and conflict resolution. Research demonstrates that when women are engaged in peace talks, a peace agreement is 64 percent less likely to fail. The meaningful inclusion of women in peace processes increases by 35 percent the probability of an agreement lasting at least 15 years. This is in contrast to the overall durability of agreements that end conflict, with peace lasting only five years on average once conflict ends. Engaging women in the peace process is about more than institutionalizing the tremendous progress Afghan women and girls have made. Although, the legal status of women and statistics are impressive. Increased access to education for girls is one of the most significant achievements since the defeat of the Taliban. Fifteen years ago, fewer than 5,000 girls were enrolled in primary school. Today, estimates are that three million girls are in primary school. Secondary schools have graduated at least 120,000 girls, and at least 15,000 have completed college. 36 percent of teachers are women. 6,000 women are judges, prosecutors, defense attorneys, police officers, and soldiers. In government, as of early 2019, women hold 69 of 249 seats in parliament. Of 25 government ministers, four are women. Twelve of the 63 members of the Afghan High Peace Council are women. About 3,000 businesses in the country are owned and operated by women entrepreneurs. Engaging women in the peace process is about tapping the expertise and legitimacy of Afghan women. These women have expertise in creating jobs, building a strong legal framework, and engaging large groups of Afghans in dialogue. For example, the Afghan Women’s Chamber of Commerce and Industry brings together women business owners from different sectors to advocate for legal reforms that open economic opportunities. Women for Afghan Women runs shelters for those who have been subject to gender-based violence and helps them navigate the legal system. A stable, prosperous and secure Afghanistan is critical for everyone. Afghan women must speak for themselves, and for their fellow citizens, as part of the current dialogues.